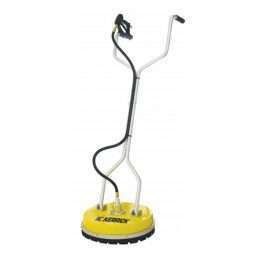 The 20″ (500mm) Whirlaway makes quick work of moss and grime etc. Works on a number of surfaces including, paving, concrete, sidewalks and tiles without striping or causing damage. The unit has a lightweight polyethylene cover and runs on a hover system with splash protection. 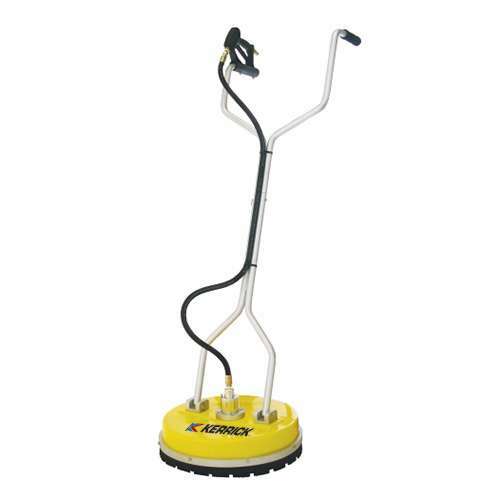 It’s a popular surface cleaner for retail outlet and office parking areas, educational facilities, warehouses and factories. It’s an easy to use, effective and cost efficient solution to maintaining public areas.